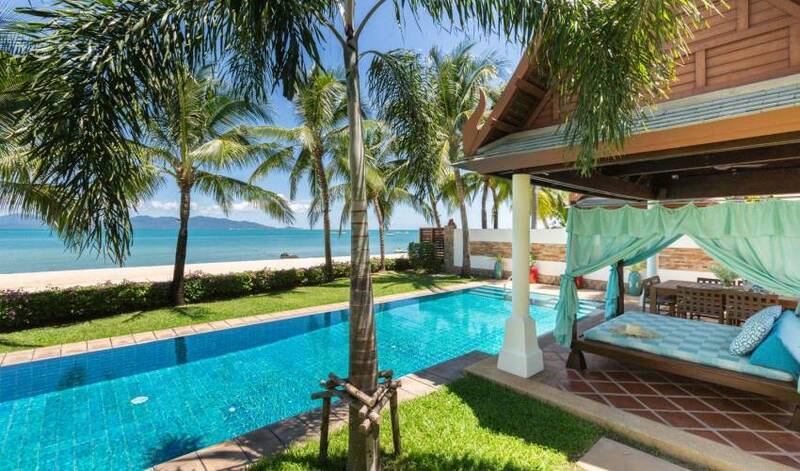 Entering each villa compound, you are transported into your own cocoon of luxury. 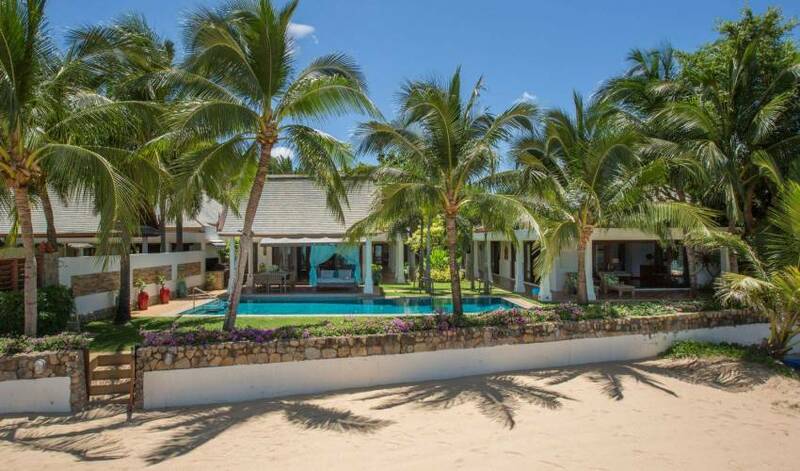 Built around their own private courtyard, each villa provides guests with a similar size villa and property however offer different layouts to maintain individuality. The homes are composed of 3 to 5 bedrooms in total. All rooms have their own beautiful en-suite and features a large walk in shower. Each master bedroom also provides guests with a large bathtub and outdoor shower to enjoy. All bedrooms and their facilities are decorated in neutral tones using quality natural materials to create a relaxing atmosphere and aesthetic features to these quarters. All furniture pieces flow throughout the property and are of a stylish and contemporary character, but also reminiscent of traditional furnishings. Finally all bedrooms also feature a TV/DVD system that enhances the experience to be had. The combined living/dining area and gourmet kitchen are located in a separate pavilion opposite the bedroom quarters. Combining the same design and style principles as the rest of the home, this large area is perfect for relaxation within air-conditioned comfort, or for entertaining many. The soft hues of the fabric and teak wood paneling create an environment that would appeal to many, together with first class technology and appliances. The large kitchen offers all the modern appliances found in your own home, together with the over-sized dining table and comfortable sofas in the living room ensure that the home provides a space to be enjoyed at any time. 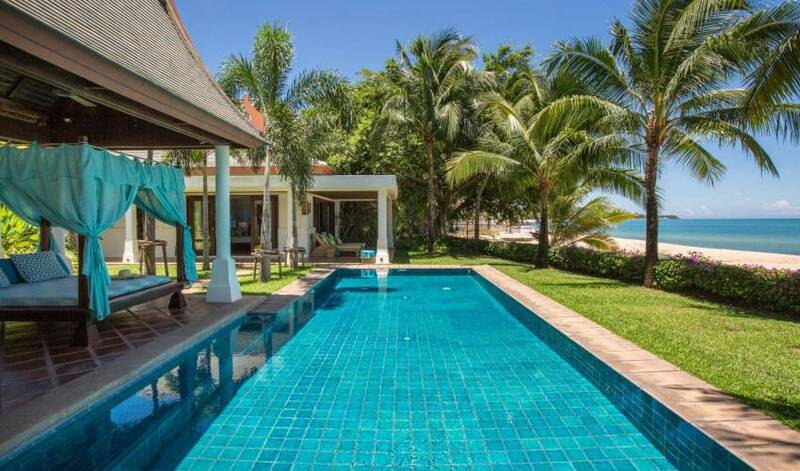 All of the villas have their own private salt water swimming pool that sit on the beach front. 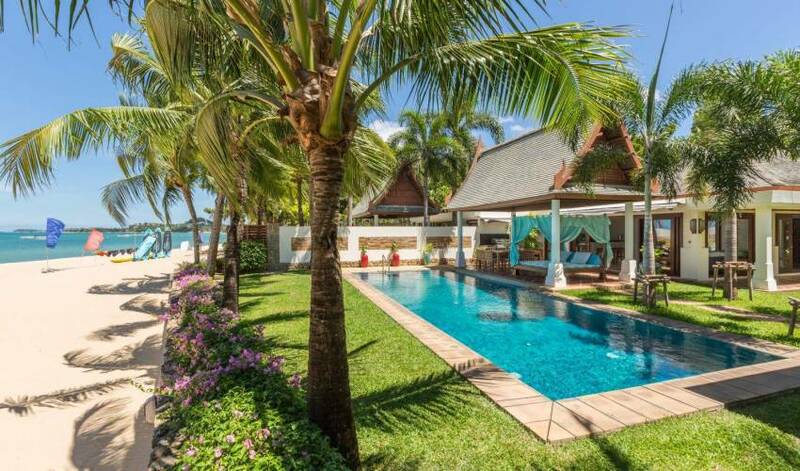 Surrounded by lush gardens and lawn, the properties also provide guests with a Sala for outdoor dining with stunning views out to sea whilst sun-beds are also available for tanning or sitting in the shade of the terrace. The homes showpiece properties built with quality and class in mind. 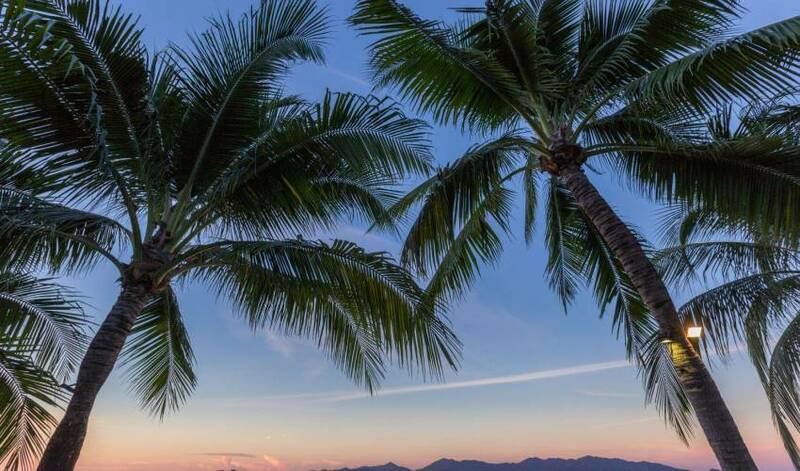 Guests are assured of peace and quiet to make the most of the superior beach location; however being less than 5 minutes from local restaurants and shops provides the best of both worlds. 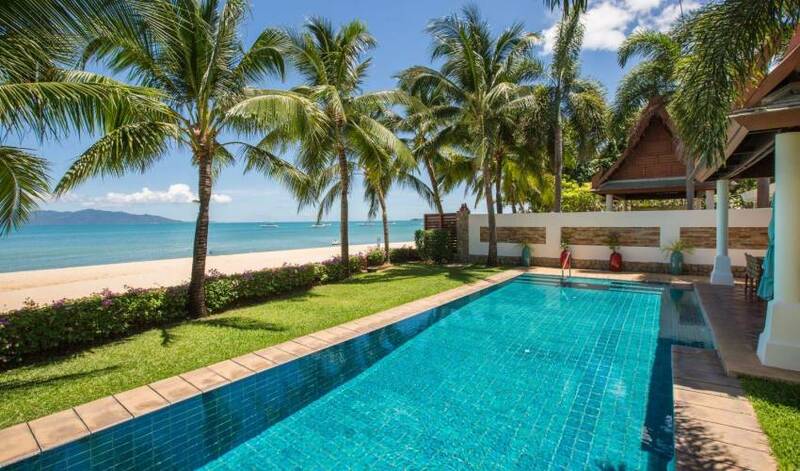 Whatever the purpose for a stay on Koh Samui, these villas will certainly not disappoint and only aim to achieve your satisfaction! 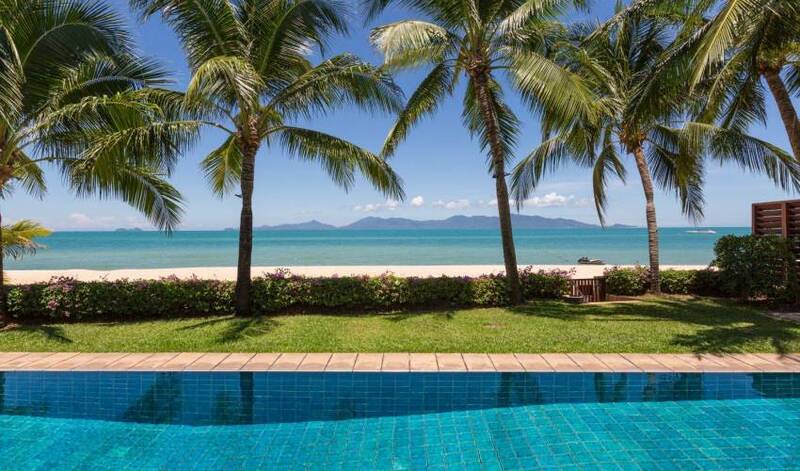 On the northern coast of Koh Samui, 15 minutes drive from the airport and 15 minutes to Chaweng. * Please inquire for Peak Season Christmas and New Year rates.